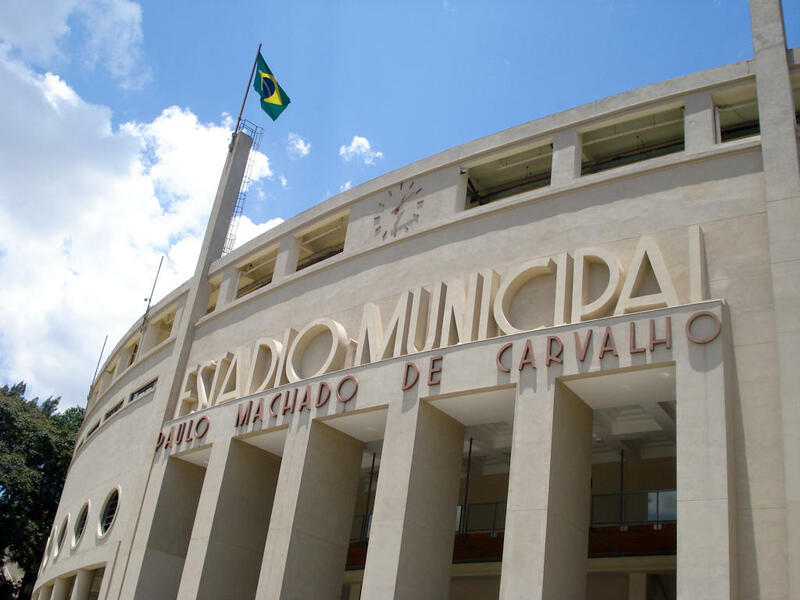 Since it stands in the Pacaembu district, right at the end of the Pacaembu Avenue, no wonder people refer to it with the simple „Pacaembu” instead of official Estádio Municipal Paulo Machado de Carvalho. 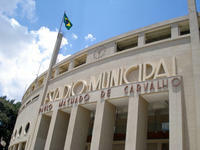 This monumental structure became a landmark of central Sao Paulo already in 1940, when it was opened. 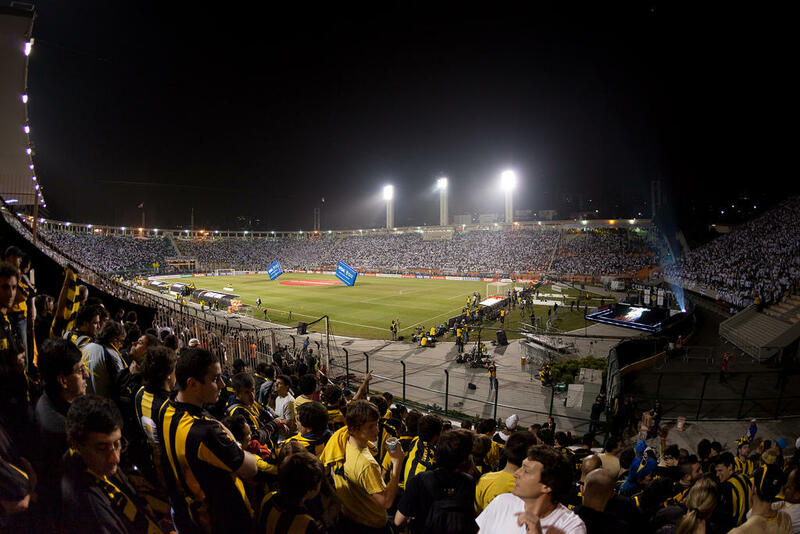 At that time there was no bigger or more modern stadium in all of South America. 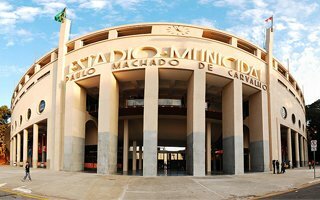 Initial horseshoe shape received an impressive main entrance that stands to this day and is listed as a monument of Brazilian art deco style. 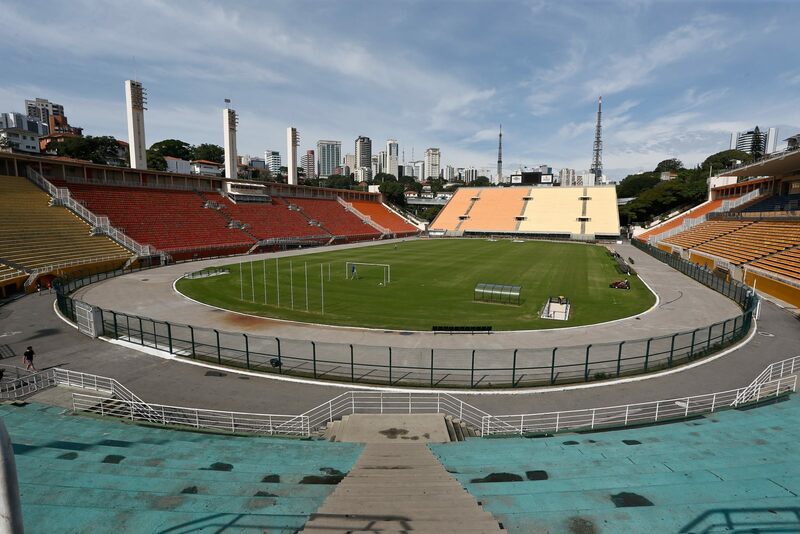 Behind the open goal there was a concert shell back in 1940, but was soon dismantled and made way for the fourth stand. 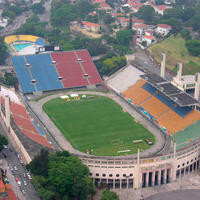 This addition allowed Corinthians to reach a record audience of 71,000 already in 1942, a crowd never seen here since. 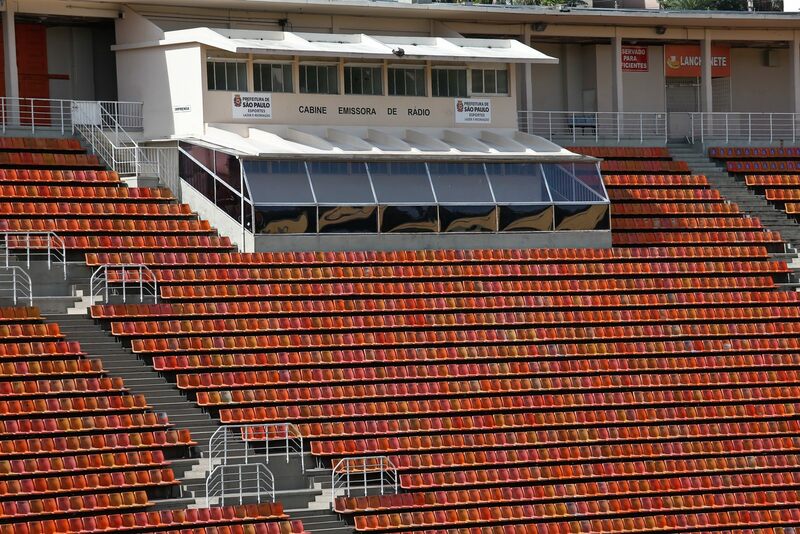 The stands were further expanded in 1958 and finally 1970, with the fourth stand, but since the last refurbishment in 2007 capacity is far smaller than the initial numbers. 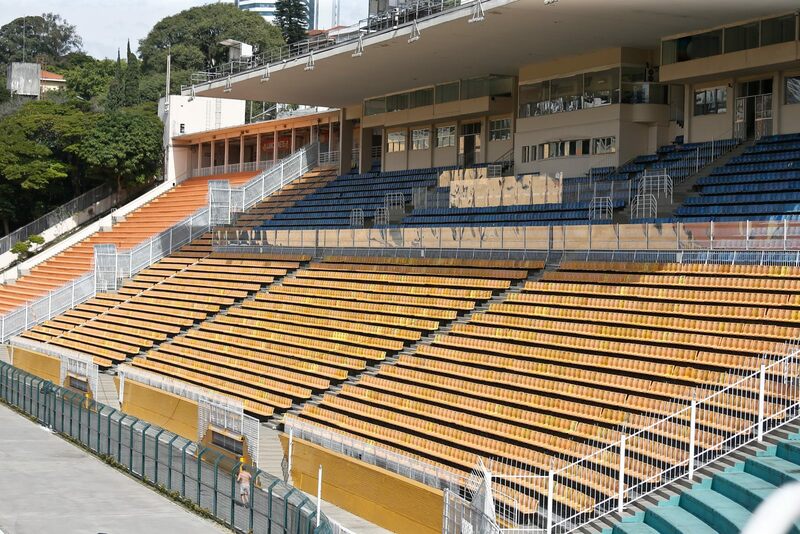 It being a municipal ground, Pacaembu never had a permanent football tenant. 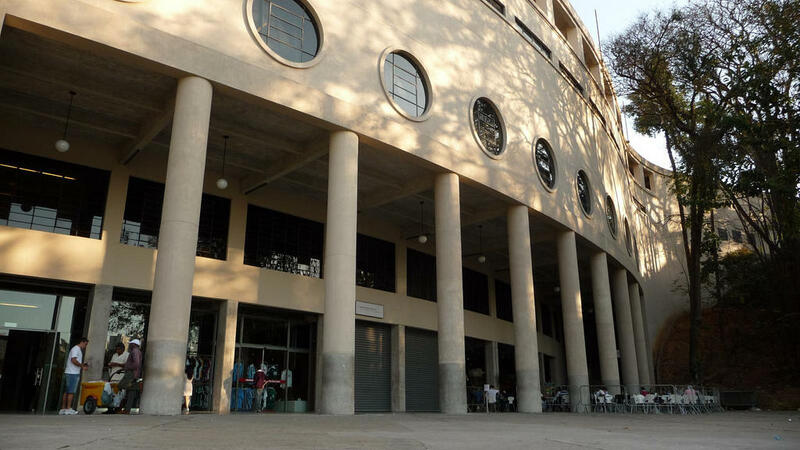 Most frequent team to play there were Corinthians, but the club decided in 2010 to build their own stadium, making a decision to leave for good. 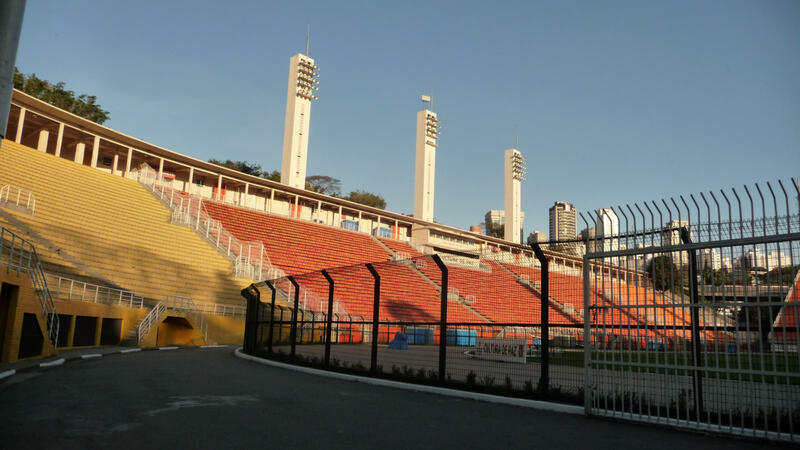 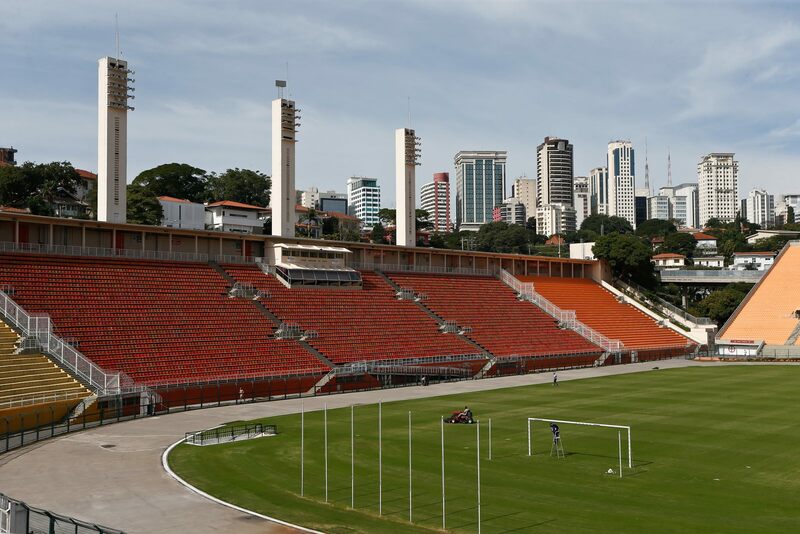 Meanwhile Pacaembu remains a venue for major matches of other Sao Paulo agglomeration teams, allowing it to go in history for the numerous international games. 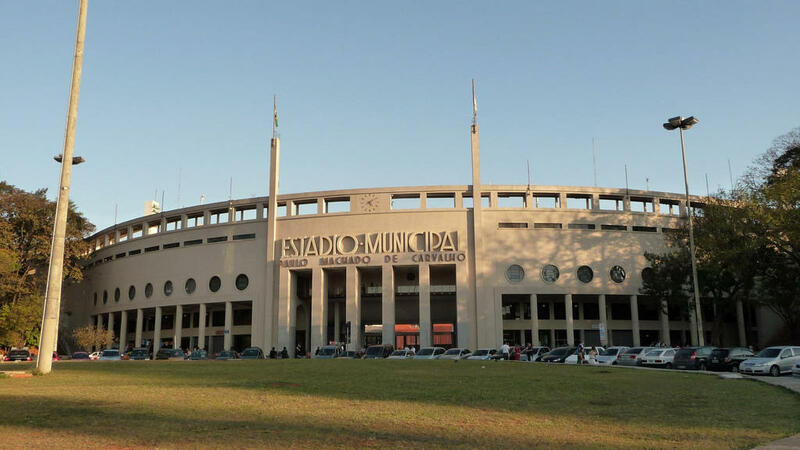 Then again, even without club tournaments it has quite some portfolio with 1950 World Cup, 1963 Panamerican Games and dozens of Brazil national team's fixtures.